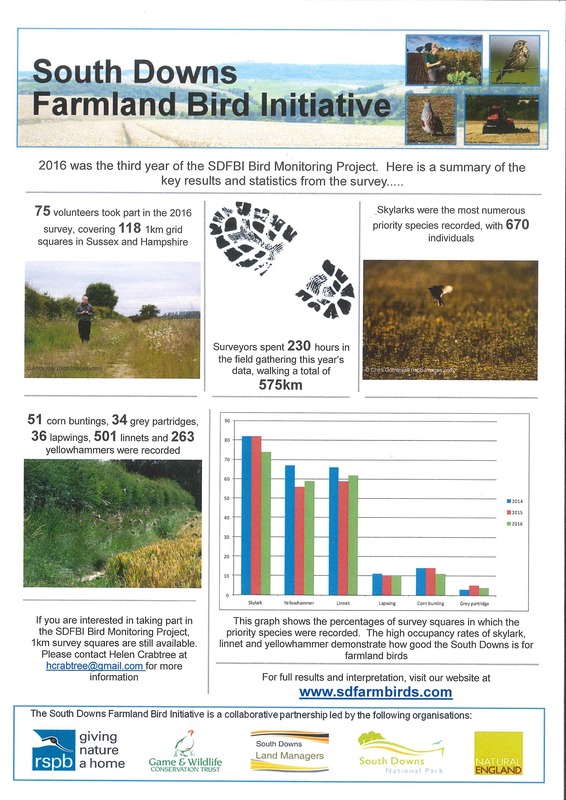 2016 saw the third year of the SDFBI Bird Monitoring Project. This year 75 volunteers surveyed 118 1km grid squares across the South Downs National Park. Full results can be found on our website here, and the infographic below lists some of the key facts and figures.